The combined programs of Scripps Green Hospital and nearby Scripps Memorial Hospital were ranked as the best hospital in San Diego and sixth best in California by U.S. News and World Report in it’s annual ranking released Tuesday. UC San Diego Medical Center was ranked seventh in the state and second in San Diego, followed locally by Sharp Memorial Hospital, Sharp Grossmont Hospital and Scripps Mercy Hospital. 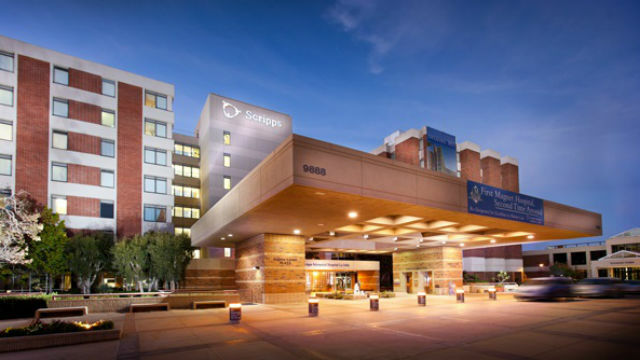 The Scripps hospitals were nationally ranked in eight specialties and rated high performing in nine procedures and conditions. UC San Diego Medical Center was nationally ranked in eight specialties and rated high performing in eight procedures and conditions. Statewide, UC San Francisco Medical Center was ranked first, followed by Ronald Reagan UCLA Medical Center, Stanford Health Center, Cedars-Sinai Medical Center in Los Angeles, UC Davis Medical Center, the Scripps hospitals, UC San Diego Medical Center, Hoag Memorial Hospital Presbyterian in Newport Beach, Huntington Memorial Hospital in Pasadena and Keck Hospital of USC. Mayo Clinic in Minnesota was again atop the national list, followed by the Cleveland Clinic, Johns Hopkins Hospital in Baltimore, Massachusetts General Hospital, UC San Francisco Medical Center and University of Michigan Hospitals and Health Centers.